Great find of special, different beads! 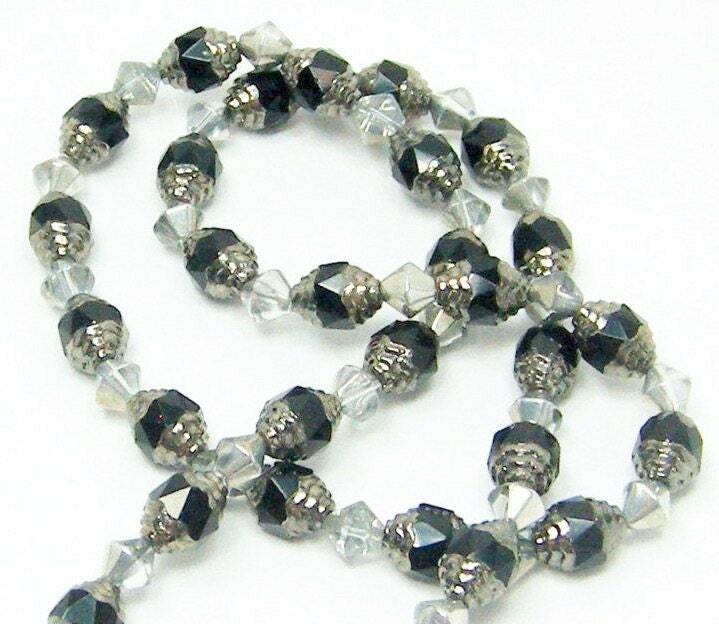 I just had to make something special with those unusual Czech black cathedral beads. The faceted black ones with the silver caps. 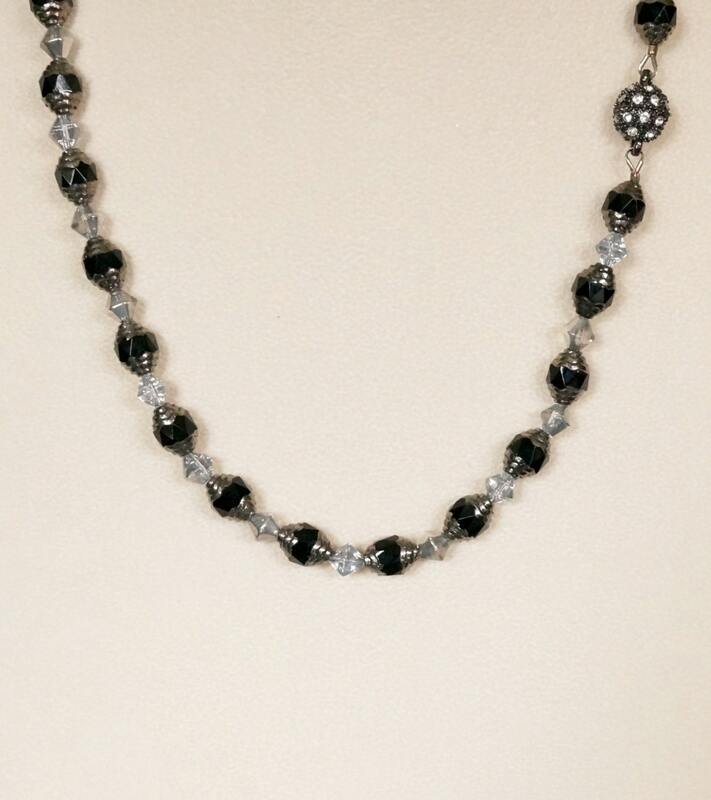 I just loved working with them to create this special necklace. 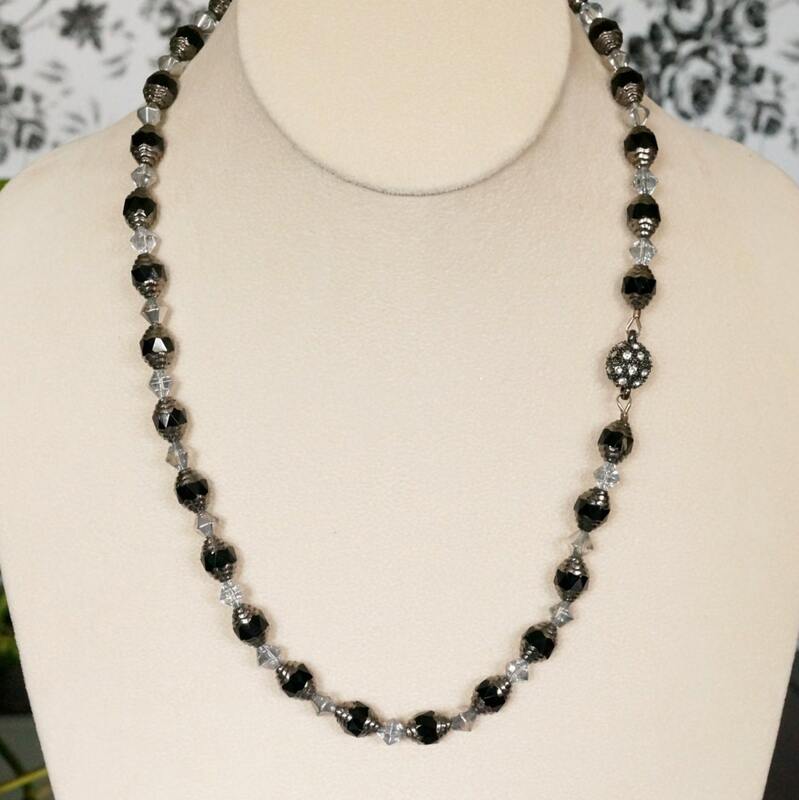 The silver bicones are also Czech crystal beads. 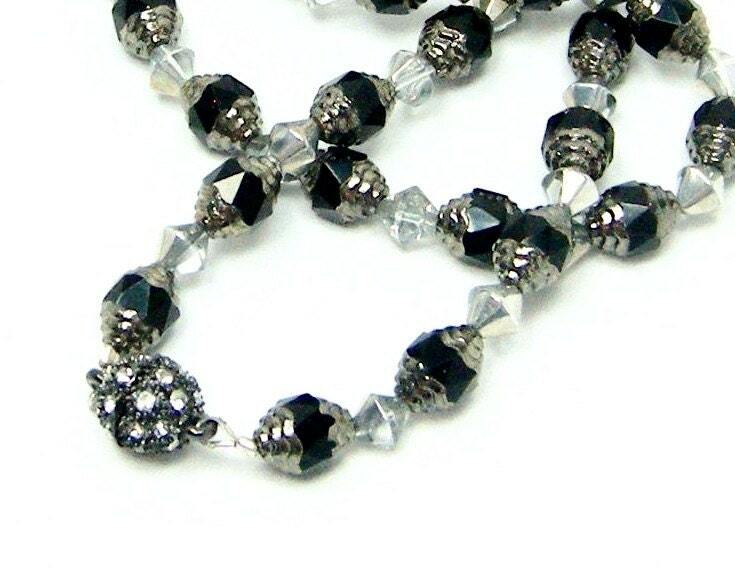 The clasp is magnetic, and embellished wth rhinestones. You can also wear the nacklace so the clasp is on the side. Gorgeous!